Happy Friday! 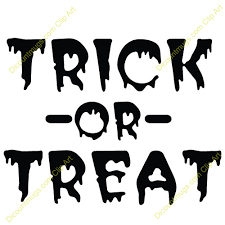 This weekend is the time to stock up on goodies for the little ghouls and goblins who will be paying you a visit soon. You might even be tempted to go out for “Trick or Treat” yourself; however before you grab a pillowcase and head toward your neighbor’s house take a few moments to ponder if you just might be a bit to old for this. …You have trouble staying up late enough for Trick or Treat to begin. …Your biggest fear is biting into a Bit-O-Honey and getting your dentures stuck in it. … Almost anything currently hanging in your closet can be used as a costume. …Your costume is older than most of the kids out for Trick or Treat. …You have been dressing up as Luke Skywalker ever since Episode IV was released. …You have been dressing up as Michael Myers ever since the original Halloween was released. …You started dressing up as Elvis when he was still alive. … Your back begins to ache from carrying around that heavy bag of candy. … People say, “Great Frankenstein Mask,” and you’re not wearing a mask. … The door opens you yell, “Trick or…” and can’t remember the rest. … By the end of the night, you have a bag full of restraining orders. …You remember when “Thriller” was a new song. …You remember when “The Monster Mash” was a new song. … You’re the only Ghost-buster in the neighborhood with a walker. …You don’t think “It’s the Great Pumpkin, Charlie Brown” is the same without the Dolly Madison commercials. This entry was posted in Friday Funny, Humor and tagged Halloween on October 27, 2016 by Leonard.